Huawei Enjoy 9 TENAA Certified; Images and Specifications Revealed - Playfuldroid! 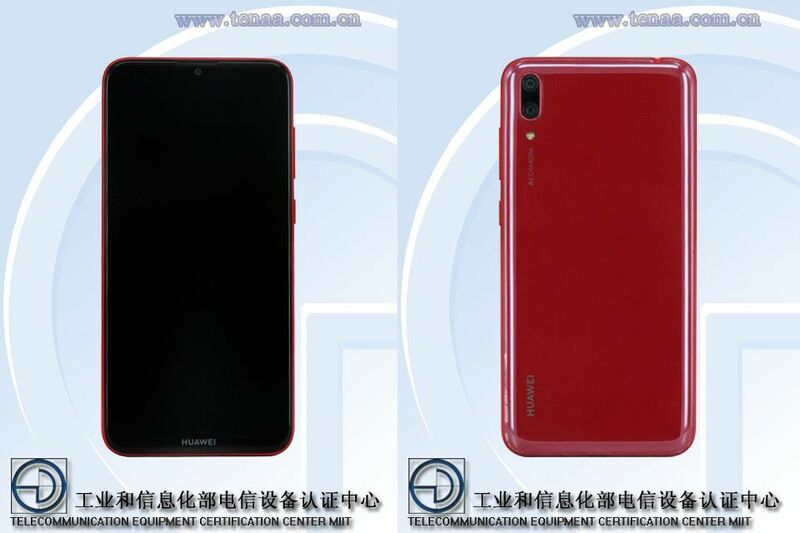 Recently, the Huawei Enjoy 9 smartphone was spotted on China Telecom’s website with full specs and pricing. The handset has now appeared on TENAA with its entire specifications and images. The DUB-AL00 and DUB-TL00 models that have surfaced on TENAA are the network variants of the upcoming Huawei Enjoy 9. It features a 6.26-inch display that produces HD+ resolution of 720 x 1520 pixels. It is fueled by 1.8 GHz octa-core processor. Probably, it will be fueled by Snapdragon 450 chipset. The 32 GB and 64 GB storage editions of the Huawei Enjoy 9 may respectively feature 3 GB and 4 GB of RAM. For more storage, it is equipped with a microSD card slot. The rear side of the smartphone will house 13-megapixel + 2-megapixel dual camera setup. At the front, it will be equipped with an 8-megapixel selfie shooter. The smartphone is preloaded with Android 8.1 Oreo. It will be packed with a 3,900mAh battery. The Huawei Enjoy 9 measures 158.92 x 76.91 x 8.1mm and it weighs 168 grams. It will be available in color choices like red and black. The appearance of the smartphone suggests that it will be sporting a polycarbonate chassis. The China Telecom listing of the smartphone had revealed that its 32 GB and 64 GB models may respectively cost 1,199 Yuan and 1,499 Yuan.